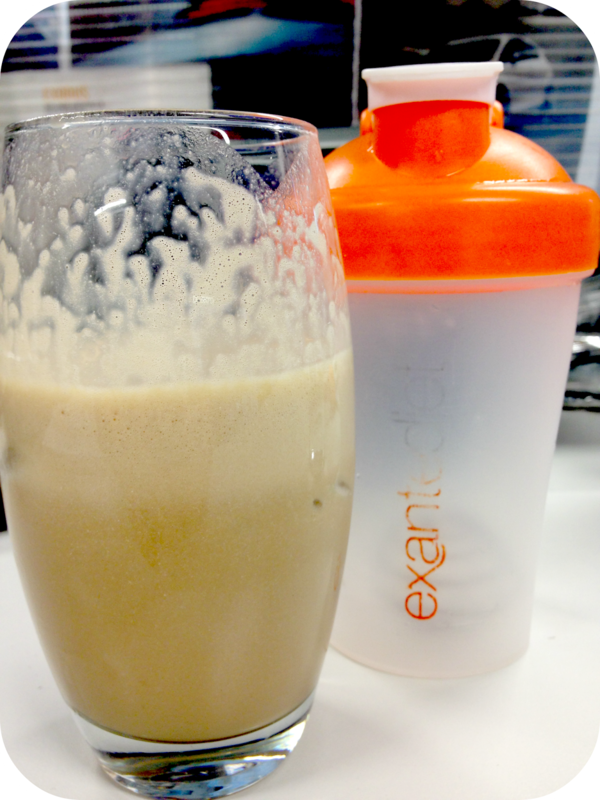 Starting from today I will be doing the Exante diet Total Solution for a week (with the exception of 2 dinners/days). I will blog about my experience at the end of the week. I know in my New Years Resolution post I said that I would cook more and not diet, but when I was approached to do the Exante Diet for a week for my blog, I decided I would. Firstly, I would like to say, that in my first week of being more active and cooking from scratch, I lost 3lbs, which I was ecstatic with and therefore will continue to do light exercise throughout the week that I am on Exante so that I do not get out of the habit. When the week is up I will continue to cook as I have been. I have previously done Exante and other VLCD (Very Low Calorie Diets) and have seen great results. A lot of people (possibly you) are thinking, well what is the point of this as when you start eating food you will put it back on, but this is not always true. Many years ago I did Lighter Life for 3 months and lost about 3.5 stone – never reached the goal as I was getting really bored of not eating and having no social life (no alchol, juice, milk or fruit teas). In the months after stopping Lighter Life I did pile nearly every pound back on – but this was for one reason and one reason only – I continued to eat like a fat person, completely unable to maintain. Since then I have managed to lose all that weight again via various methods – mainly Weight Watchers and have learnt to eat properly. I now know proper portions sizes and have developed a much more healthy approach to food – I can now maintain. Before my wedding, while I was successfully maintaining my weight, I was finding it very hard to lose it and after seeing a Wowcher for Exante, I decided to go for it. This was a decision made out of desperation as I had vowed not to do a diet like this again. My reasoning this time was that my wedding was drawing ever closer and this time I would do it for a month max. I did the Total Solution (3 meal replacements a day adding up to 600Kcals) for one week and the Working Solution (adding an additional 400kcal meal) for two more weeks. In that time I successfully lost a stone. When I stopped I put on 3lbs which is to be expected, but I maintained for a further 3 months. I did put the weight back on temporarily towards the end of my father-in-laws illness. We were eating when and where we could, which essentially was takeaways and chocolate – 100% my fault and once things settled down, and we were eating normally again it came off. Basically, what I am getting at is if you don’t know how to eat and continue to eat in excess you will put the weight back on, just like with any diet. The benefits of some other diets is that as you are loosing weight you educate yourself to eat properly or healthily. – Total Solution – 600 Calories a day in the form of 3 x Exante products, this can be done for upto 3 weeks before taking part in a Low Calorie Week where an additional 201-600kcal of food can be added or a 200kcal milk allowance. Only for people with a BMI of 25 +. – Working Solution – 1000 Calories a day same as above but with an additional 400kcal meal – there is no need for a Low Calorie Week. – Simple Solution – As above with a 600kcal meal instead of 400kcal and suitable for people with a BMI of above 20. In the Total Solution your body goes into Ketosis, which is an integral part of the VLCD. What is Ketosis? Ketosis means that your body is burning fat rapidly because it is using your fat as it’s main source of energy. Normally our bodies use our food as our primary source of energy. Your body initially uses up its energy reserves of glycogen before starting to burn fats from its fat stores; this process normally begins after 3 to 4 days on the programme. When the glycogen stores are used up, your body will then switch its main energy source to burning your fat. When fat is burned rapidly the body produces a by-product called ‘ketones’ and the person is said to be in ketosis. A very important thing to note during this diet is that it is essential to drink at least 2L of water a day as you need to replace the water that you would usually get from the food you eat, otherwise you will become severely dehydrated. Also, as your body goes into Ketosis, the more water you drink the more weight you will lose, and the easier you will find the diet. It is however, extremely important not to drink too much water otherwise you could become very ill.
Before taking on any diet (especially one such as this) it is important that you seek guidance from your Doctor and that you fully research the diet! See how I got on here.